I bet most of you think that we have an easy life here in rural Spain. With very little to worry about, no stress etc. Whatever the truth of that, it seems that no matter where you are you bring your worries with you and if you are of a worrying nature, where you live is not going to make very much difference at all. We have a Broody hen she has been broody for quite some time, about two months now. During this time we really didn't feel able to let her sit and incubate the eggs, it was just too much extra hassle and we don't need any more chickens. However she will not give up. 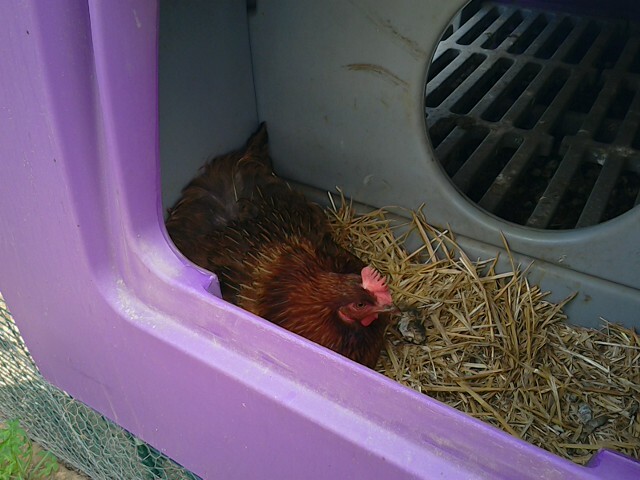 She hoggs the nest and the other hens can't get in which means they've started laying in other places. Usually unsuitable places - as in they are difficult to get at. They queue up for the nest, sometimes one after the other all the way up the ladder complaining loudly. We can't let them out of their run so that they can be free range on the finca until after we know they have laid their eggs or we may never find them. But of course because the broody hen won't budge fights are breaking out. So we have decided that we will let her incubate some eggs in the hope that if she has chicks she will then get over this ridiculous behaviour. The problem with this decision is that we don't really have any way to separate her so that she can incubate safely away from the other hens. 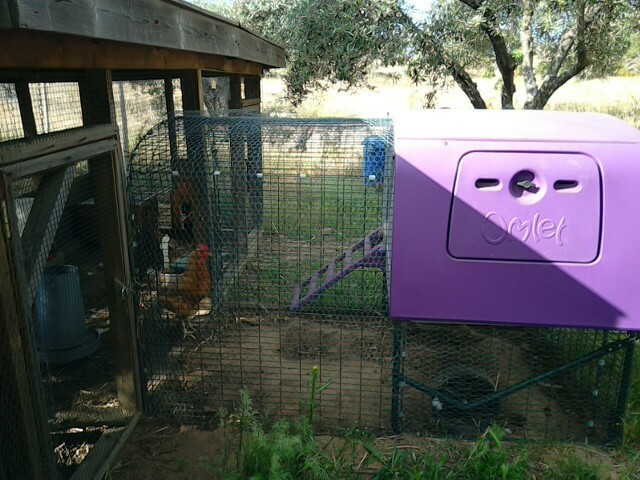 The Eglu is most unsuitable for chick rearing. 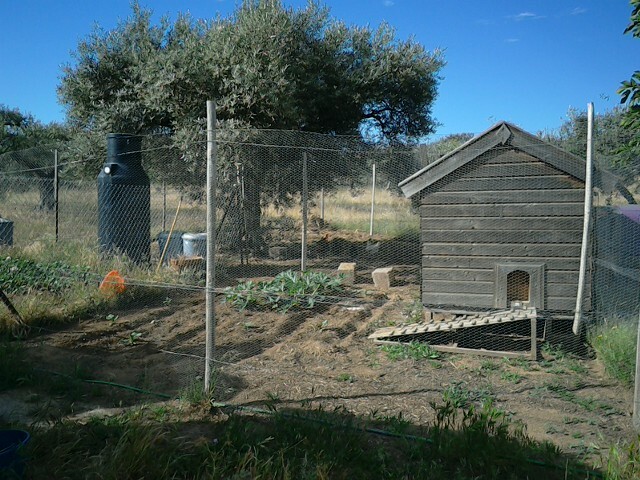 We do have a second hen house but we are using that run to grow courgettes and squash this year. All the same we shut her in the house with food, water and eggs but she refused to sit on them and was so lonely looking we gave up and put her back with the rest of the flock, at which point she sat back down in the Eglu nest box and refused to move. 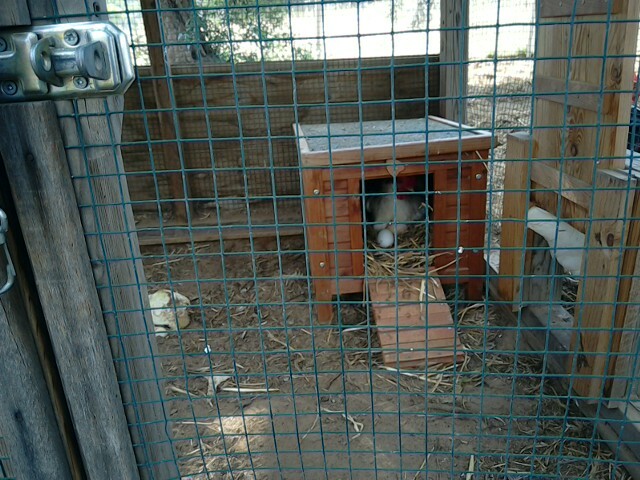 We have a small broody coop, gifted by dear friends, which we have never yet managed to entice a hen into. But we thought we would give it a go. We put a clutch of 8 eggs into it and turfed the silly girl off the nest and closed the Eglu so she couldn't get back in. Well, she looked at the eggs. But she wouldn't sit on them. 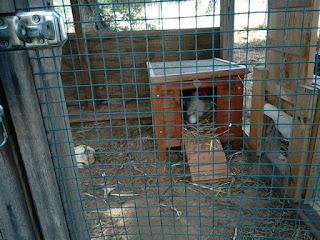 She complained loudly for hours until we opened the Eglu at bedtime and she settled down onto the empty nest again. The next day two of the hens laid in the broody coop and Miss Broody had to be chased out of the Eglu in order to retrieve the remaining eggs. She is starting to fight back when we shoo her off now and I go to collect eggs armed with a spray bottle of cold water and a ladle! It can't be good for her health to be broody so long, but I doubt her ability to incubate the eggs or raise chicks, she is herself, a product of inbreeding and isn't really approaching this in the right way with her fixation on the nest rather than the eggs. We are hoping that time will sort her out.. meanwhile if the other hens lay in the broody coop (fingers crossed) then we won't have to wrestle the eggs away from her and she might get fed up of sitting on an empty nest. Of course these are not the only things we have to worry about, worries come and demand your attention no matter where you live or what your lifestyle. And the fact that the cause of my worries is less significant than some others might be is neither here nor there in the grand scheme of things. If I worry, I worry. So our not very bright hen has served a very important purpose in reminding me that we make our own paradise. If we cannot let go of the inconsequential then we will never have the stress-free lifestyle that is so sought after. Perhaps it's me that has to change my attitude and not the 🐔. OK. Look here Miss Broody hen if you don't stop this disruptive behaviour then I am going to eat you! And you better start laying again because that's your purpose in life and we don't have space for free loaders! I did laugh at this one... Because so many of my worries are chicken related! 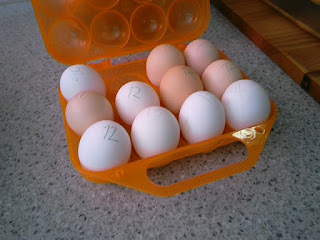 Who is laying the weird eggs without shells and what to do about it, why egg production down and how to get the girls through their moult quickly, why one always has a red bottom, does she have thrush or is she being pecked by our bully hen, when did we dust for mites, do they need to free range more... The blessed chickens give me more worry than the kids! It's not you, it's the chickens! We have the occasional egg with no shell too, and we know which one it is but they have tons of grit, you can't make them eat it! Squabbles, bullies, stupid behaviour, feather pecking - at one time or another we have had the lot! Glad I'm not the only one getting stressed by the chickens! Lol!